Since my KA is out of order at this moment. I still want to make some bread for my boys. (The little one wants to have French toast everyday!!!) actually it's not to hard to manage the dough... It just requires more time and strength!!! A hard work added to a house wife's list><"... Good thing, it's done and still reached to my satisfaction!! the dough: 300g bread flour, 20 sugar, 8g sea salt, 3g yeast, 80g mashed banana, 20g of cold milk, and 30g of butter- no salt. baking pan: same big as the pervious one. oven: 340F 38mins and extra 2 mins staying at the oven after turns off. What does the banana add to this loaf? I am assuming moisture and softness??? For the banana, I always like my bread to have a slightly and not really noticeable frangrance of fruits. It's not only keeping the softness but being healthier~. 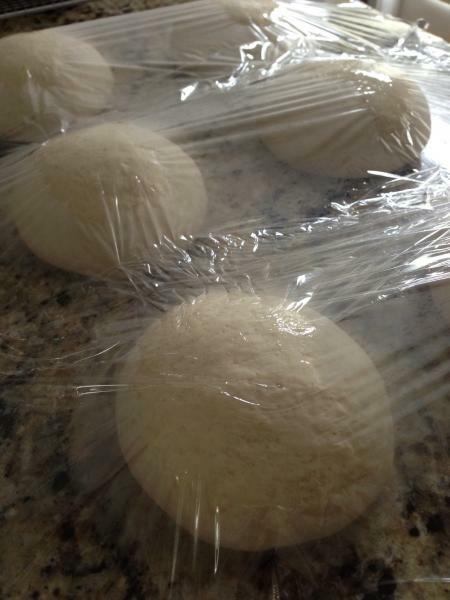 The poolish dough does a good job of holding the moisture^^. If you like adding fruit you might be interested in delving into yeast waters....another fun thing to try. very much. The crust and crumb are perfect. I think you could get there faster and with less effort by hand if you did Slap and Folds. I'm with Janet. If you like the not quite sweet and fruity in bread, than YW is the way to go. No chimerical yeast need either - and no sour results even though it is natural cultured yeast. I've given the KA a rest for all bread baking. Can you pls let me know if the autolyse is for the main dough only or tog. with poolish after mixing? 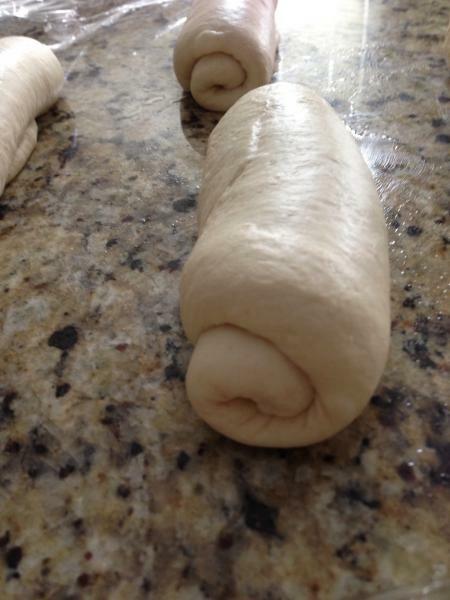 Also what do you mean by 2 times shaping dough restings? Usually after bulk fermentation, I would degas, divide andpre-shape, rest for 15 mins and shape into two boules/logs to prove in the loaf to bake. Maybe in your case you are adding an extra proof for a fluffier crumb? If so can you pls advise how how long for this extra step. Thank you very much. I always autolyse the dough after adding the poolish to the main dough and before the salt & yeast added in. sorry, I've been busy for the kids. 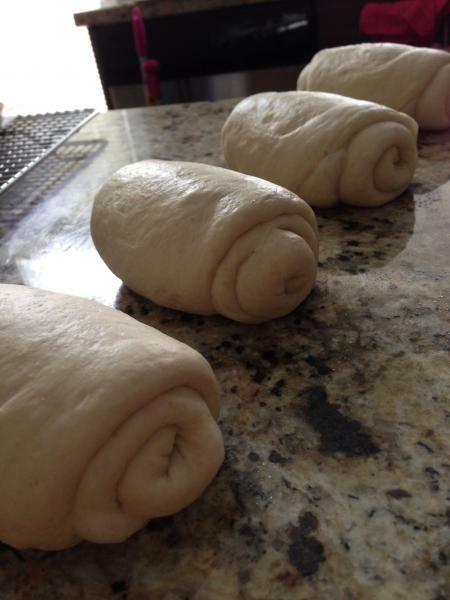 Here are some pics of my extra proofing time of this type of bread I make. ok, from the bottom to up (sorry, I don't really know why the order of pics would be ended up like this... And, dont want to upload them, again. from the bottom (covering with the plastic wrap), the first 20 mins. The top pic, 3 circle,---in the loft pan for until 75-80% full, then bake. YUM, YUM! this is the kind of bread my children crave. Just a quick question, for the poolish, how long did you let it ferment, did you do this overnite or a few grs in room temp? I would really like to give this a try. Many thanks. Fin fin's Recent Blog Entries.